Grand Valley climbing was created and conceived by Owner Dave Cummings with help from family and local friends. The building was constructed in the summer of 2014 and the first operational day of the company was September 14, 2014. The goal of Grand Valley Climbing is to offer a healthy, social, and fun lifestyle choice for the entire grand valley community. We offer climbing, training, yoga, and kids programming in a high-quality, professionally organized facility. With this opportunity we hope to expand the community of climbers by giving new climbers a comfortable setting for being introduced into the sport and offering the established climbers a challenging and dynamic place to practice their craft. We will strive to create and offer the best possible service and programming for anyone who enters the gym in order to further the future of western slope climbing. Brittany Stich fell in-love with climbing 8 years ago and to this day she has never let go! She met David rock climbing and Grand Valley Climbing gained Brittany as the Event Coordinator in 2018. Brittany works hard to keep Grand Valley Climbing up to date and enhanced in many ways behind the scenes like feedback and counsel along with developing growth and prosperity to the family of GVC! 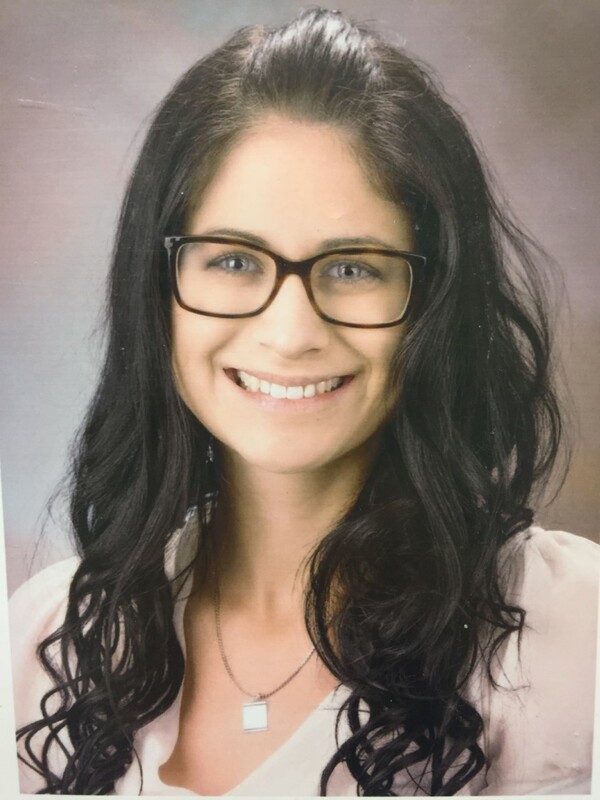 Brittany also works as a Neuro/Trauma/Stroke Nurse at St. Mary’s Hospital where she combines her passion with work giving her heart to heal others. Brittany and David are an incredible team as working partners, climbing partners and partners in raising Benjamin and Alexander Cummings. Rob Pizem has been rock climbing for 20 years. His passion is first ascents, bigwalls and coaching/training people through fitness plateaus. While not climbing rocks he is a husband and father of two boys. His sponsors are CAMP-USA, SCARPA, Julbo, Sterling Rope, Treadwall and The American Alpine Club. 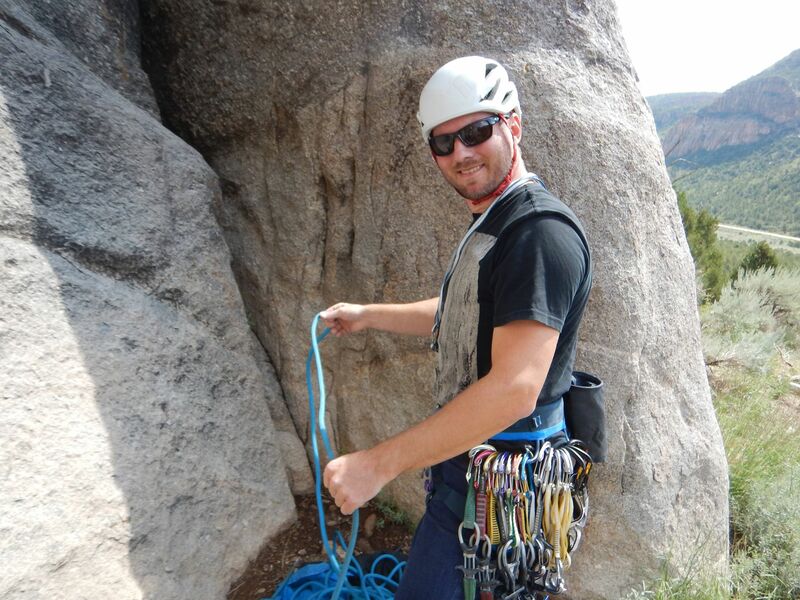 Mike Kimmel is our director of youth climbing programs and Grand Valley and the head coach for our competition team. Climbing has been his passion for over 15 years, and he is always excited to help new climbers learn to develop their skills and enjoy the sport. He has traveled around the world in pursuit of new climbs, and is constantly striving to improve his own understanding of climbing and pass it on to our kids. 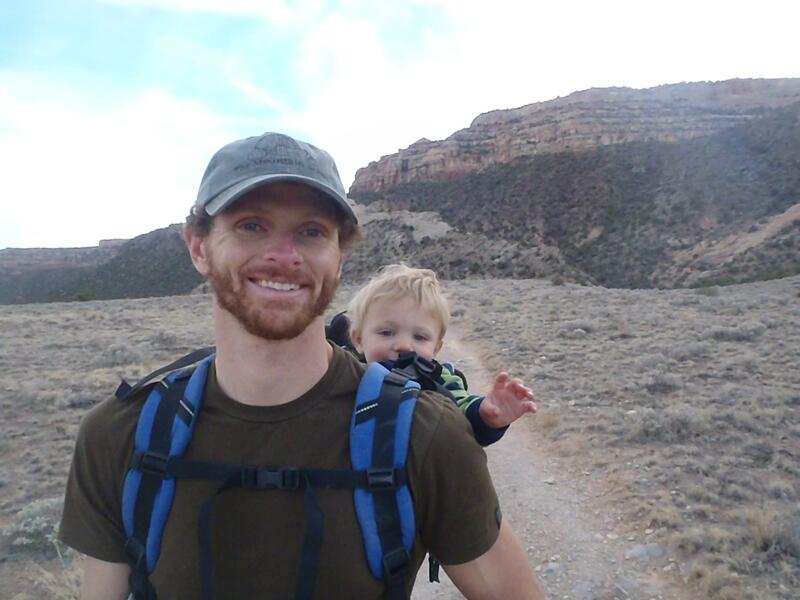 Mike is also a National Board Certified middle and high school teacher and when he isn’t teaching or coaching, he is out exploring the climbing found throughout Western Colorado. His sponsors include Adidas Outdoor, Five Ten, Omega Pacific, and FrictionLabs. 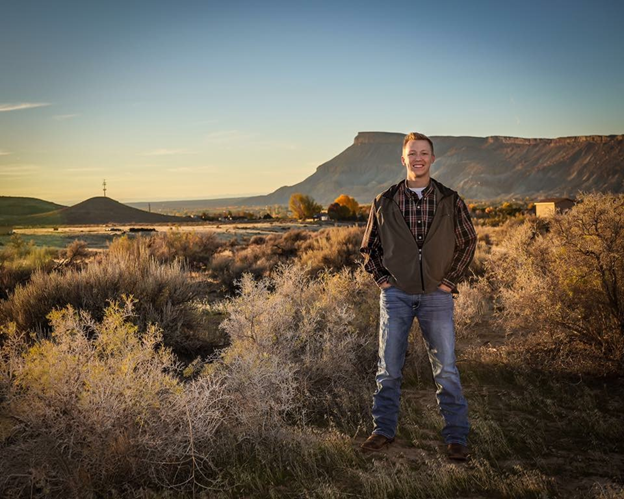 Jaden Hall is an 18 year old high school student at Grand Junction High School. He’s been rock climbing for 9 years. He stopped in October of 2017, when diagnosed with cancer at the age of 16. After beating cancer in May of 2018, he got back into the gym as therapy to get himself back into shape. 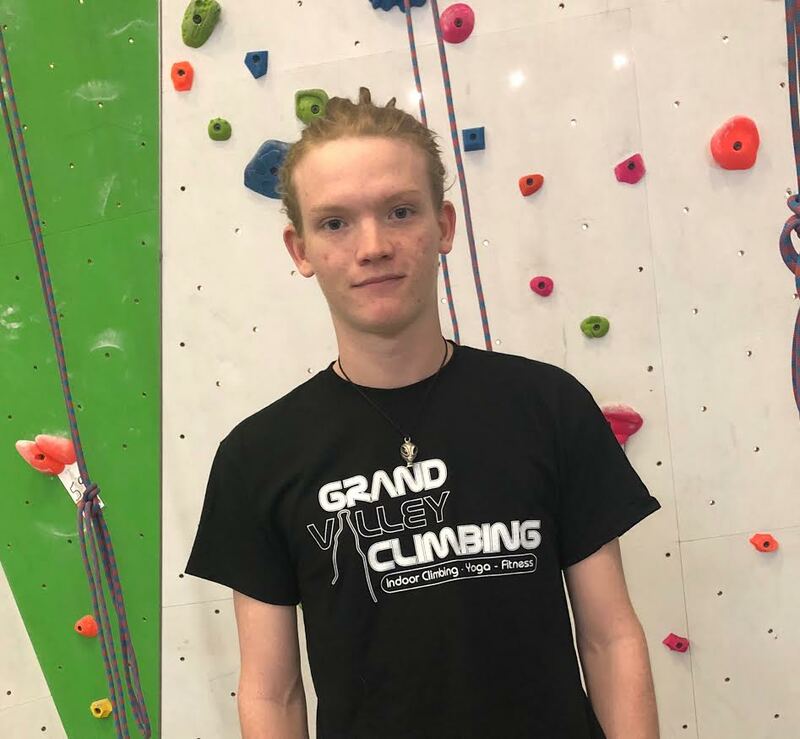 His favorite thing about working at Grand Valley Climbing is working with kids, helping other reach new heights and immersing himself into a community that he so dearly loves. Will Stephens is 17 years old. In his free time he loves to hike, climb, and skateboard. He has been working at GVC for a year and has learned to love the fun climbing community and atmosphere. 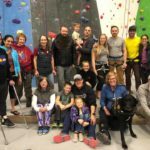 Come join us at the Grand Valley Adaptive Climbing Club on the second Friday of every month from 5:30-7:30pm! Everyone is welcome! If you are a veteran with a disability it’s free to climb. For other people with a disability, as well as their friends and family, it’s only $10 to climb (including gear rentals)!